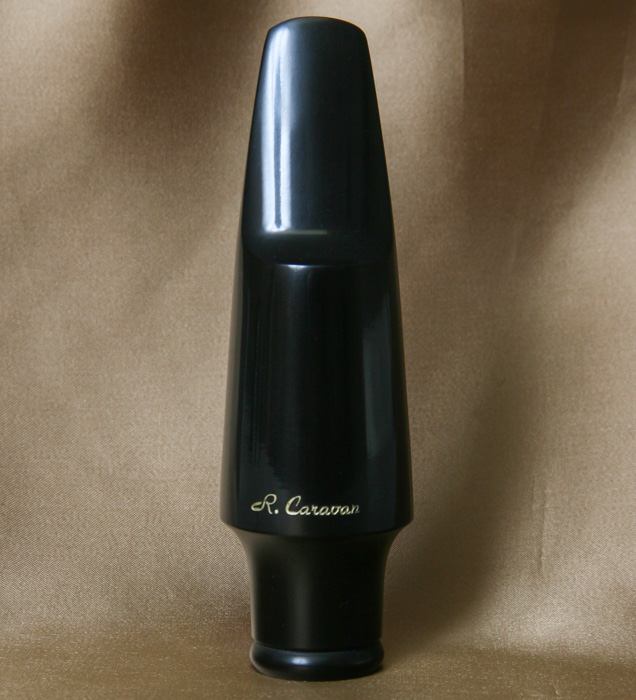 The Caravan Baritone Saxophone Mouthpiece is a modern manifestation of the vintage large-body open-chamber mouthpiece, producing a dark, harmonically well–balanced sound without being stuffy and restrictive. Its low register tones are warm and round without the rough edges commonly produced by other mouthpieces, while its upper register tones are full and beautiful without the typical “whining” quality so commonly heard in the baritone’s upper left hand. The baritone mouthpiece is available in one standard facing that has a tip opening of around .075 in.